The Oley Foundation frequently uses photographs in print publications and electronic resources for teaching purposes, raising awareness, promotion, and/or news releases. Further, we are often asked to supply photographs to other organizations for these purposes. Photos submitted to the Oley Foundation or taken at Oley gatherings may be used for these purposes. Please indicate your wishes regarding the Oley Foundation's use of your likeness/image by completing Oley's photo permission form. If you do not want your individual photo used online or in Oley publications, we will do our very best to honor your wishes. 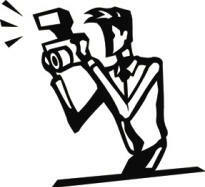 Your image may appear in group shots or on the video filmed at conferences.